What goes into the making of an Athlete of the Month? By now, we know the qualifying standards applied by the Rye Lions Club and the Rye High Athletic Department: Good athlete, good student, one who’s willingly involved in extracurriculars and service to the community. Now consider two separate facts we know about the March winner, Sara DeGraw. She started the Rye Boxing Club. And she volunteers at the SPCA in Briarcliff. Tough yet gentle? Aggressive yet protective? In person, Sara comes off as a smart, interesting individual. To misquote Samuel Goldwyn, she’s a woman of many facets…all turned on. Her coaches and teammates certainly think so. She captains her team in both soccer and lacrosse. The Westchester/Putnam Player of the Year last fall, DeGraw is an All-League defender in lacrosse, well on her way to earning her 10th varsity letter in a high school career that also includes basketball and track. She’s also the captain of her U.S. Development Academy soccer team, and will be playing the sport at Cornell in the fall. Brains? Our March winner is a National Honor Society member and an AP Scholar — which means she’s scored in the upper echelon on her many Advanced Placement college-level courses. Still, with a GPA over 97 and a pair of 700 scores on the SAT under her belt, Sara DeGraw seems an unlikely person to initiate a boxing club at Rye High. But she did. 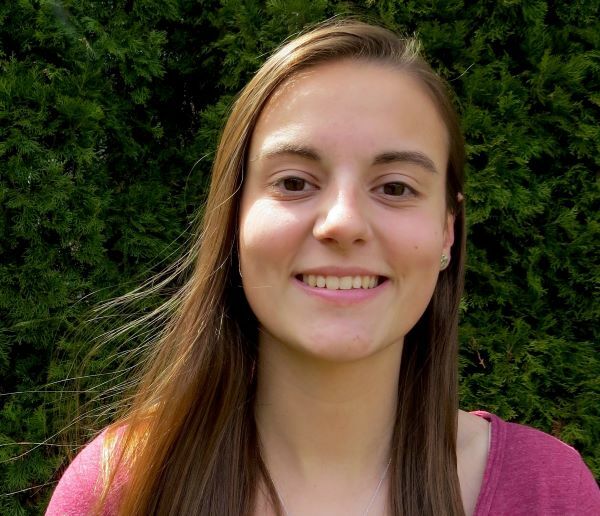 Winning the Athlete of the Month award has earned Sara a seat at the table when the Lions Club convenes for dinner at The Osborn in June and announces Rye High’s Athlete of the Year. And here’s a last trivia tidbit: Sara’s older brother Tim, a recent Garnet football star who’s currently playing baseball at Yale, also won the Athlete of the Month Award.